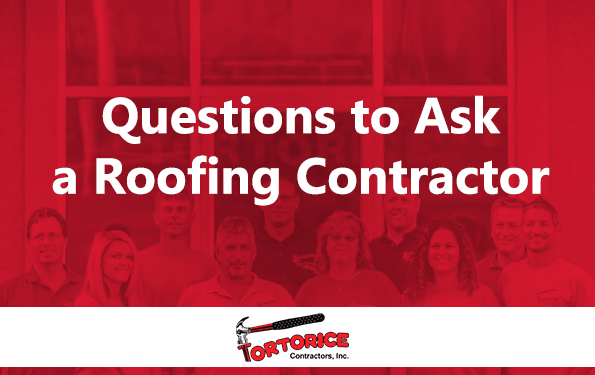 Questions to Ask a Springdale Roofing Contractor - Tortorice Contractors Inc. Selecting a professional Springdale roofing contractor is important and can sometimes be intimidating, especially for people who are not familiar with the roofing industry. In some states, roofing is an unregulated industry which is why it is important to find roofers who are not only reputable but who will also honor warranties and their contract. An unregulated industry is also one of the reasons why there are so many contractors that do a poor roofing job and who are uncertified. You can ask the following questions to help you find out if a roofing company in Springdale is legitimate. There are many fly-by-night roofers masquerading as professional roofing companies in Springdale. The length of business is important because it can help weed out people who are only doing it as a sideline job. When you want somebody to fix a very important part of your house, you want somebody who has been in the business long enough to know how to do it properly. Young businesses or those who are just starting sometimes do not have the expertise, training, or experience to do the job correctly. What is Your Permanent Address, Website, or Phone Number? This information is important because they add credibility to the business. Fly-by-night roofers usually just have a van and go from town to town to fix roofs. Professional roofing companies from Springdale should have a physical address you can go to, a website you can visit, and a phone number that you can call if you need to contact them. A permanent address and landline are a sign of a stable business. Subcontractors are usually not part of the roofing company. They are usually a third party firm that is hired to do a certain job and are paid on a job-by-job basis. Since they are not really a part of the roofing company they can resort to rushing the job which can result in future damage or shoddy workmanship. This is not to say that all subcontractors do a bad job. This just means that homeowners should be vigilant when subcontractors are involved and their involvement should be intensively covered in the contract to protect yourself and your property. Are They Affiliated with the Local Business Bureau or Local Chamber of Commerce? Your local Better Business Bureau (BBB) and Chamber of Commerce are institutions that can vouch for the professionalism of a Springfield roofing company. They are good sources for feedback, ratings, and trustworthiness. The BBB also has stringent requirements for in order for a business to be affiliated. This means that companies associated with the BBB have a good reputation and are transparent, responsive, and honor promises. Will You Provide a Contract and Submit Estimates? Fixing a roof can be very expensive. A good roofing company based in Springfield will inspect the property for damages and submit an estimate for the cost of fixing the roof. Hiring a roofer that does not provide estimates is very dangerous. Not only will you not know how much the repairs are costing you, but you will also have no idea what materials are going to be used or what equipment they are going to employ to fix your roof. Substandard materials and workmanship can result in future damages and end up costing you more. Springfield roofing firms should also provide contracts that outline materials, schedules, the cost of materials and labor, and other details regarding the repair of your roof. This way you can refer to your contract if any disputes arise. A contract can also give you an idea of how long the repairs will take. One of the best ways to know about roofing companies from Springfield is to call their past clients. Ask them for a list of past customers so that you can call them and personally interview them and receive feedback on how the company works. If the company has a good reputation, these former customers will readily provide contact numbers because they are confident with their workmanship. Customers can also give you a more realistic picture on how the company functions and does its job. Workers’ compensation provides insurance for the company’s members so that they and their dependents can claim benefits if they suffer any injury while at work. This is very important because accidents can happen on your property. A roofing company in Springfield that does not provide insurance to its employees can make you liable for the injury. The same is true for roofers without liability insurance. Damages sustained in your home because of accidents can end up costing you thousands more in repairs. Asking these questions to a Springfield roofing contractor can help you avoid fly-by-night operations that are only out there to scam you. Finding honest and professional roofers from Springfield is easier if you take the time to interview and ask them these basic questions.